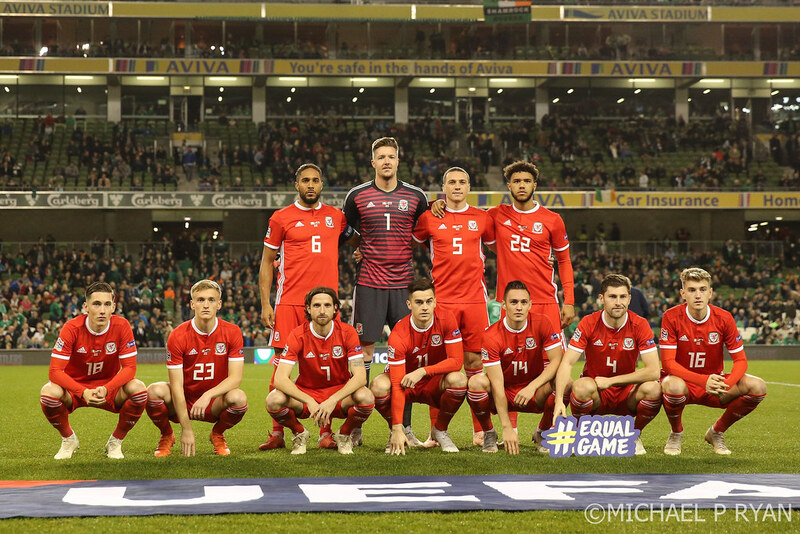 The game has ended between Republic of Ireland and Wales. 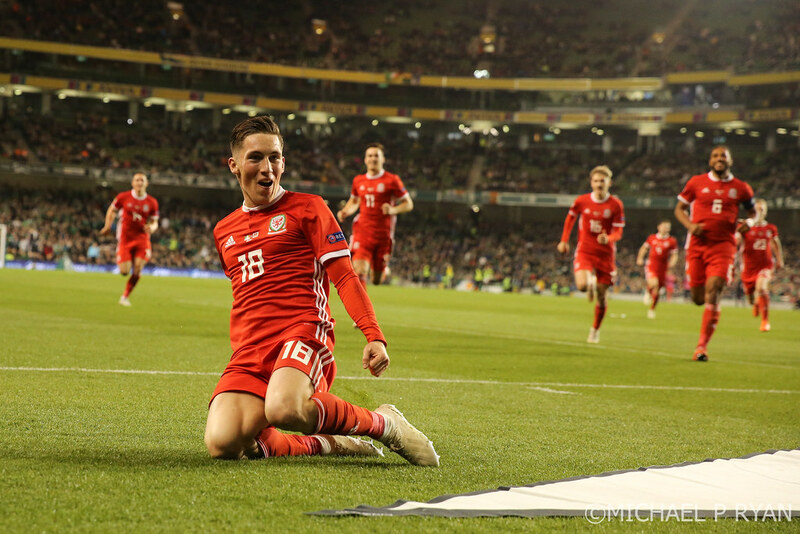 Harry Wilson's stunner is the difference as Wales emerge from the Aviva Stadium victorious. You can't deny their victory as Martin O'Neill and Roy Keane look disconsolate figures on teh sideline. 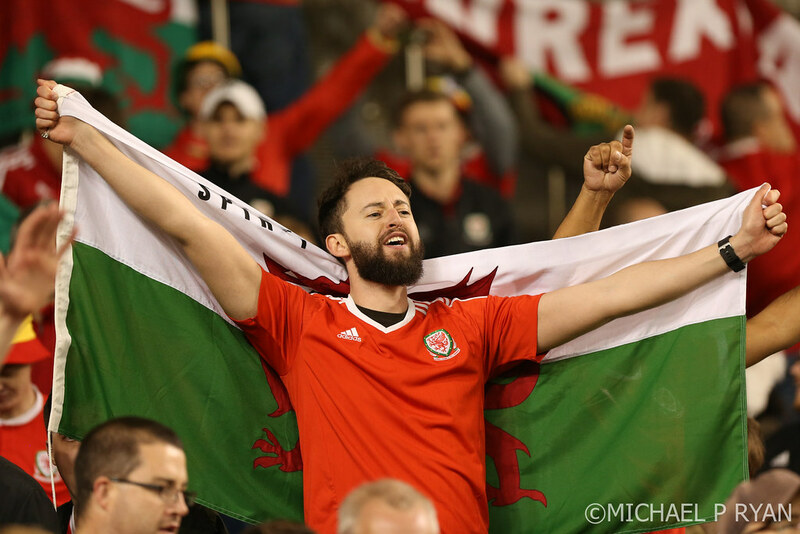 Wales fans are in pure party mode! 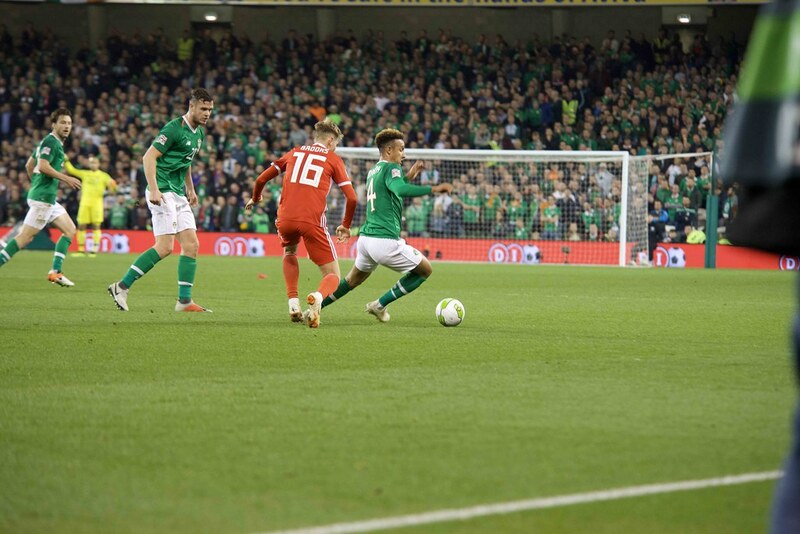 Republic of Ireland have won a corner kick. 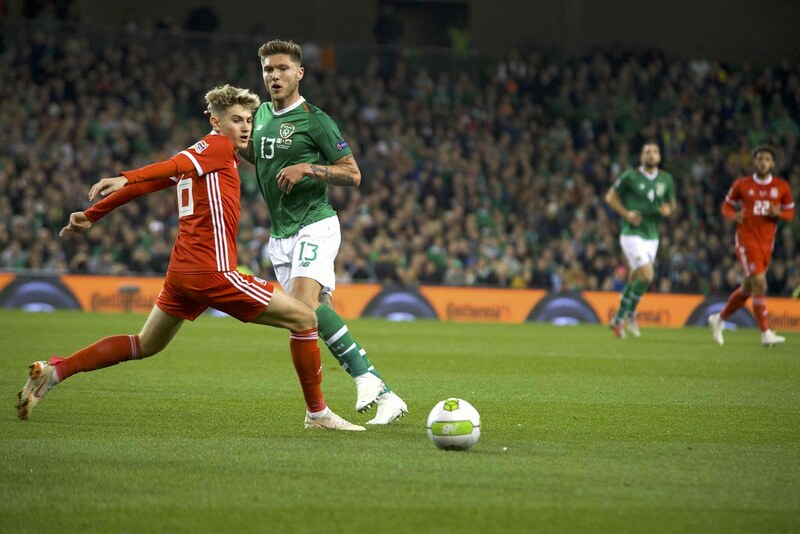 Jeff Hendrick will take it. There will be four minutes of added time for the Boys in Green to pull this out of the fire! 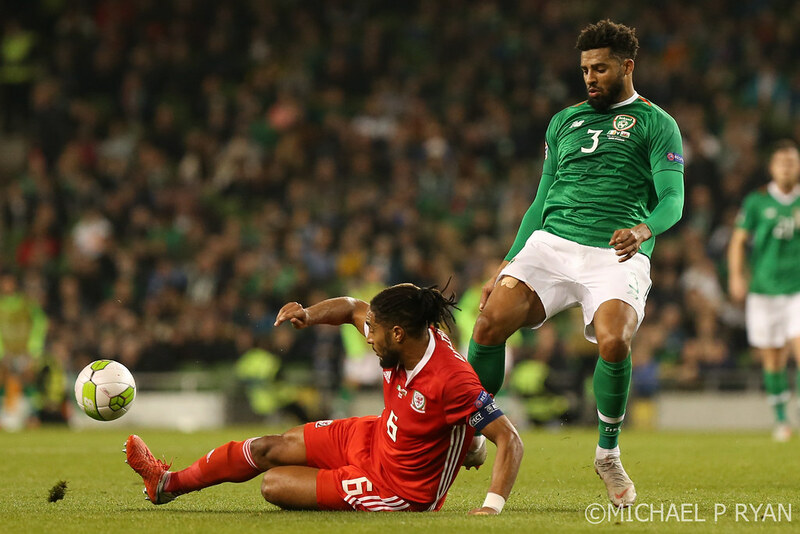 Ireland on the attack! Is there an equaliser in this for them? A scramble in the box almost fall sto Maguire who sees the ball escape his grasp! The drama! 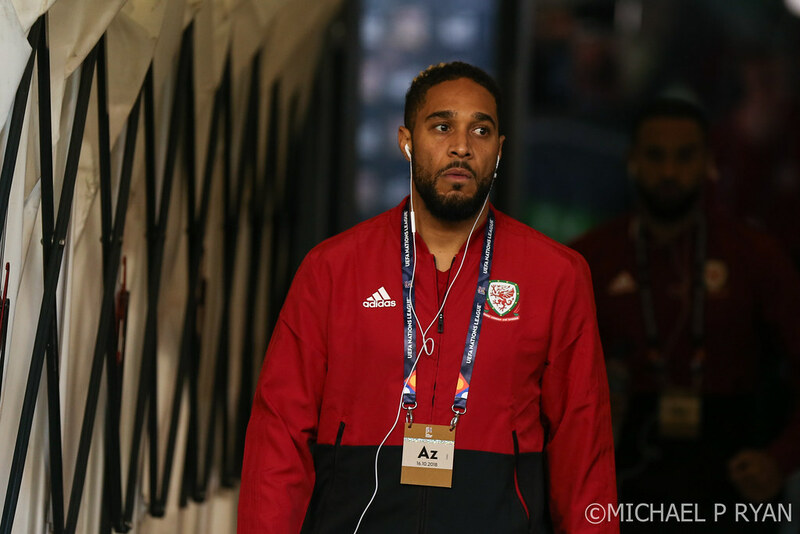 Andy King replaces David Brooks for Wales. Hendrick puts a shocking ball into box as many around me are heading for the exits. 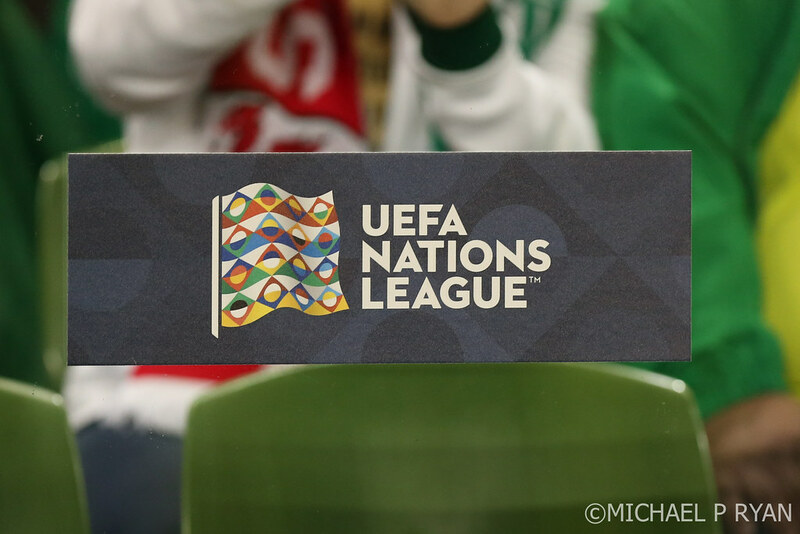 Big questions of O'Neill will be asked if they fall to defeat here! 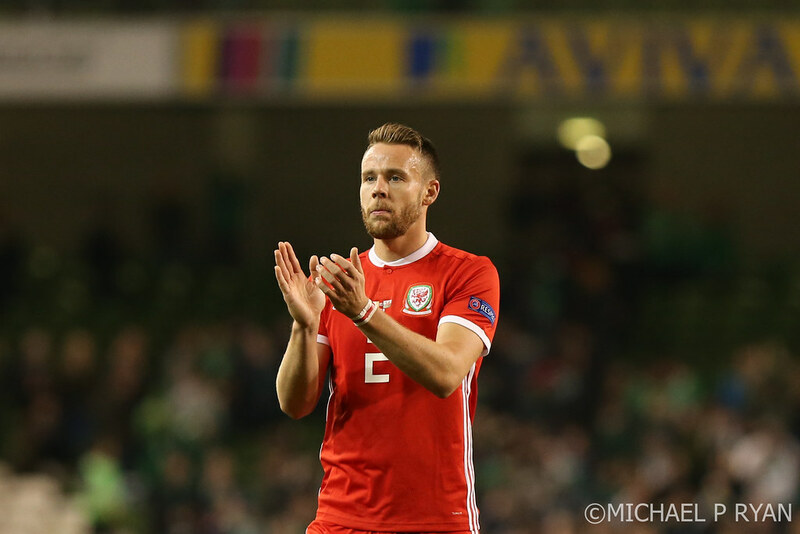 Chris Gunter replaces Harry Wilson for Wales. 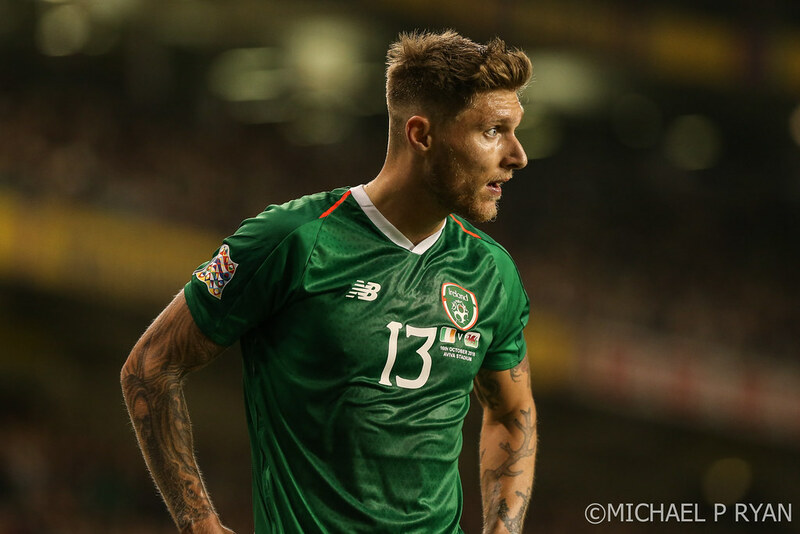 Ireland break through McClean but Hogan's header goes straight at Hennessey after a flick on from Maguire. Bjorn Kuipers is certainly playing the pantomine villain here! Maguire goes down as the crowd completely turn on the referee. 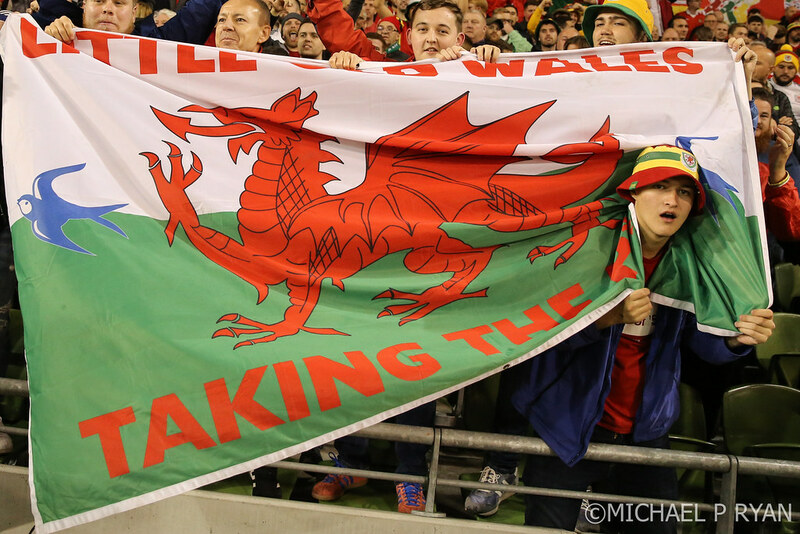 Wales almost score from the resulting break but Ireland manage to hack the ball away! 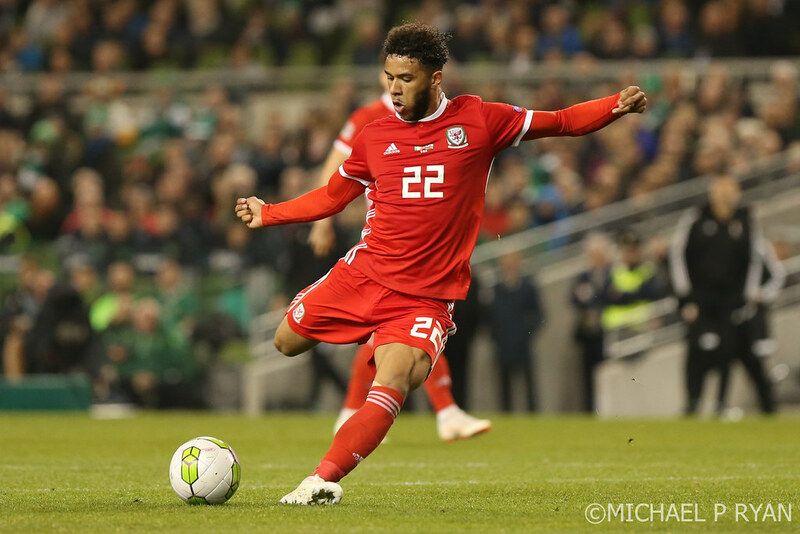 Tyler Roberts and Tom lawrence go very close in quick succession. I'm struggling to keep up with the madness here! Great pace to this one! 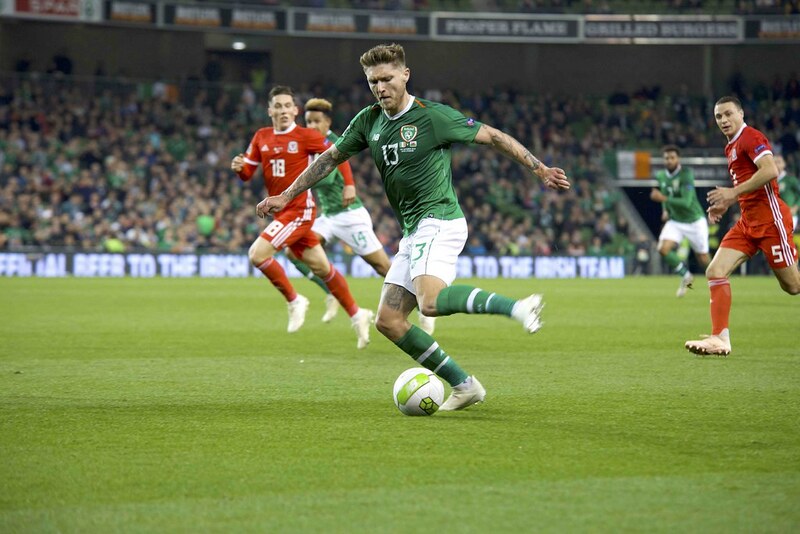 Scott Hogan replaces Kevin Long for Republic of Ireland. 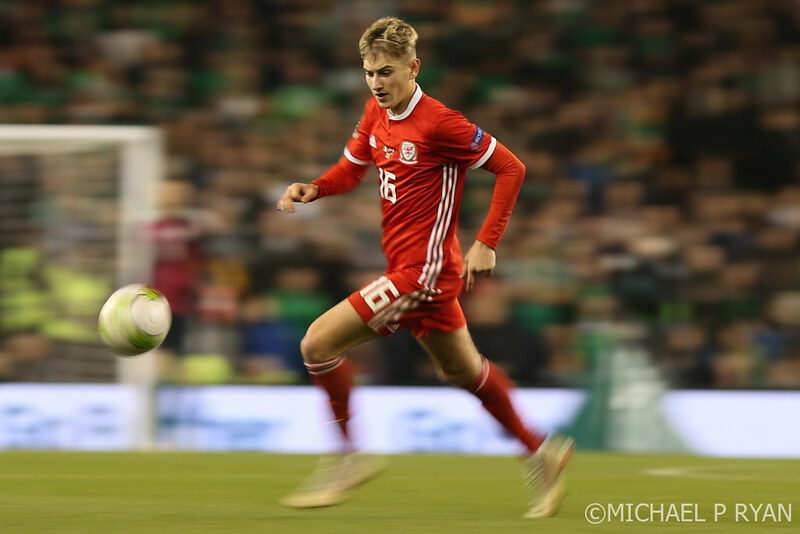 George Thomas replaces Matthew Smith for Wales. Chester almost gets a second but his header hits the back stanchon. So close for a second from Wales! IRELAND SURVIVE!!! 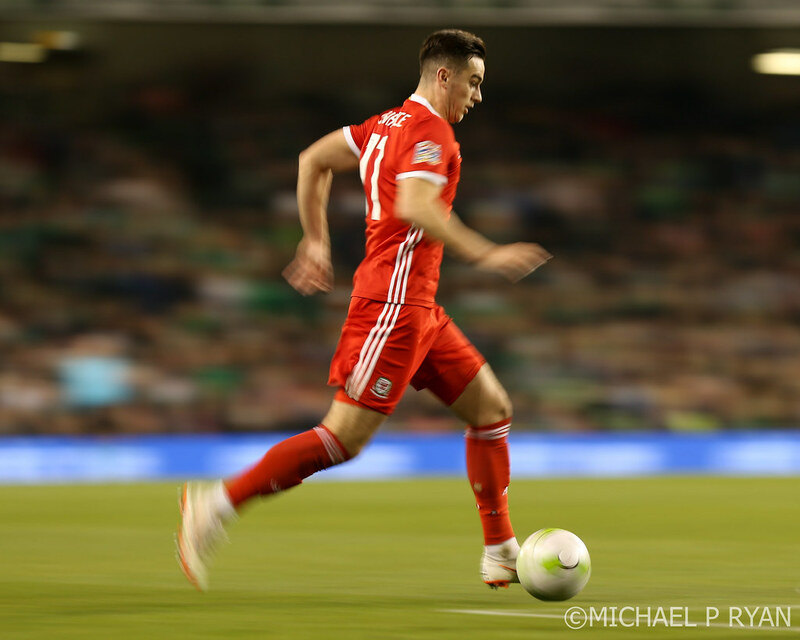 Wales break with pace and purpose and Tom Lawrence looks to have the goal at his mercy as the ball goes out for a corner and Ireland survive! Scott Hogan is getting ready. This is bold from O'Neill to say the least! 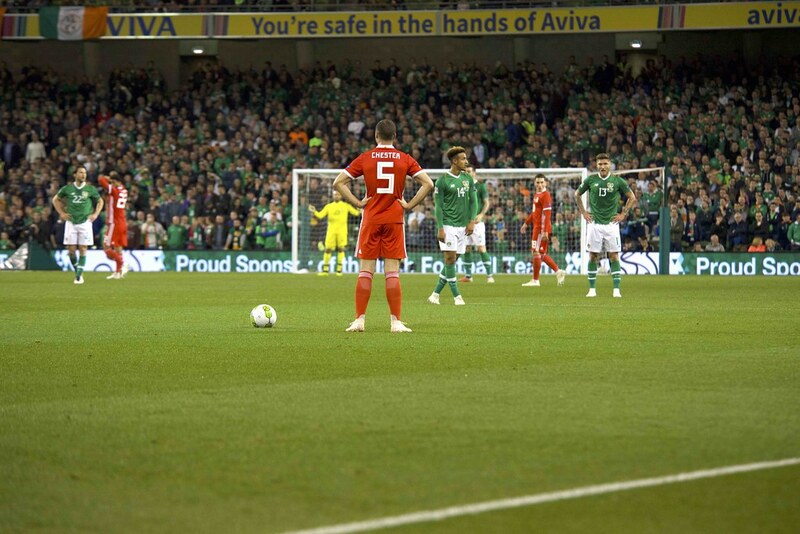 Shane Long is booked for Republic of Ireland. 'Keano, what's the score?' is billowing out of the Havelock Square End. 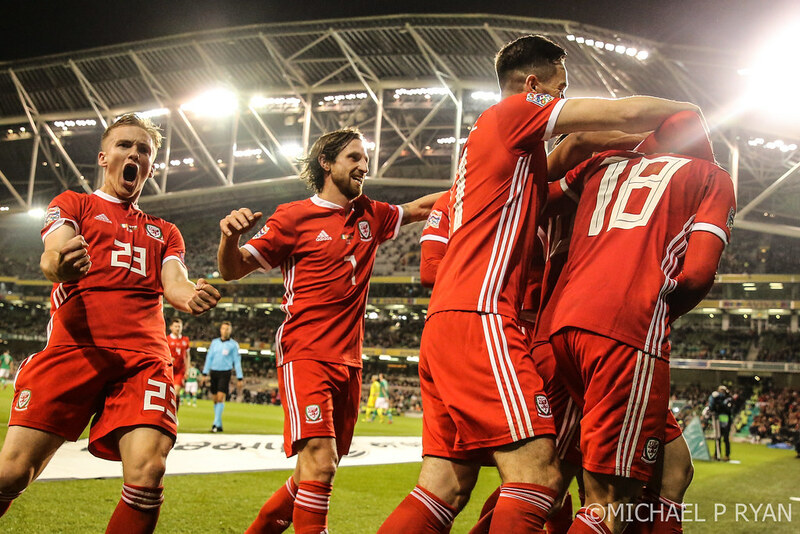 Wales are loving this and why shouldn't they! There's life in Ireland yet! 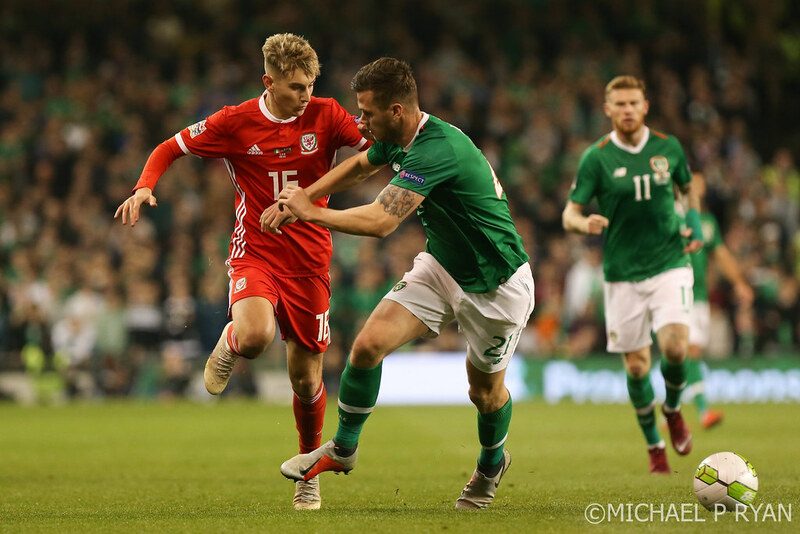 Hendrick and Doherty link up but Wales clear! 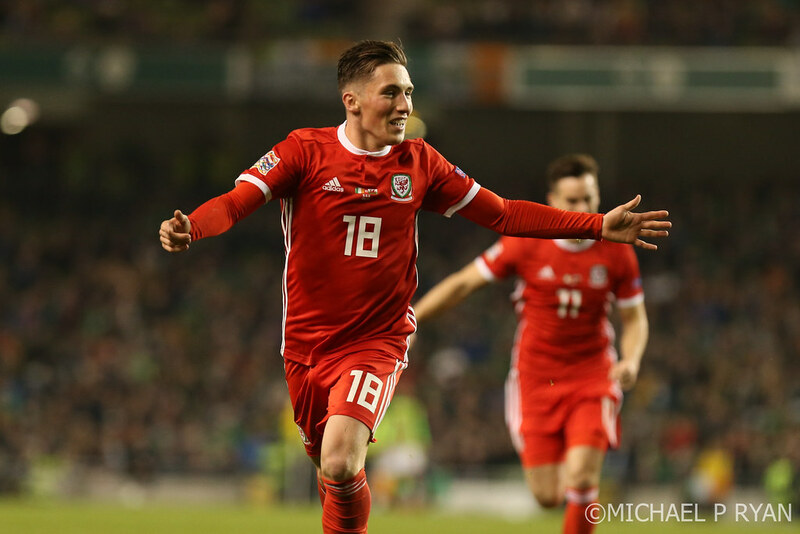 Of course, that's not the first time Harry Wilson has pinged one into the top corner in his career. If memory serves me correct he scored an even better goal for Derby County against Manchester United in a recent League Cup clash at Old Trafford! There is some incredible noise coming from the Havelock Square End as we speak. 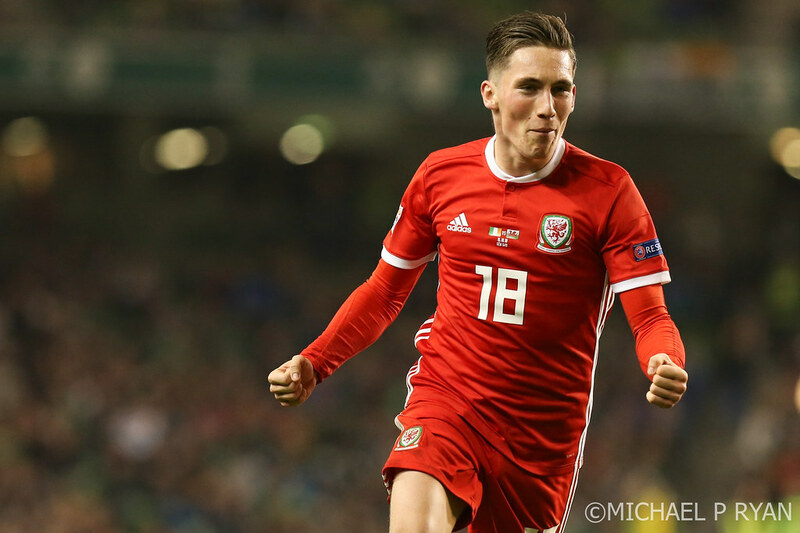 Harry Wilson has just awoken a sleeping giant on the North Stand! 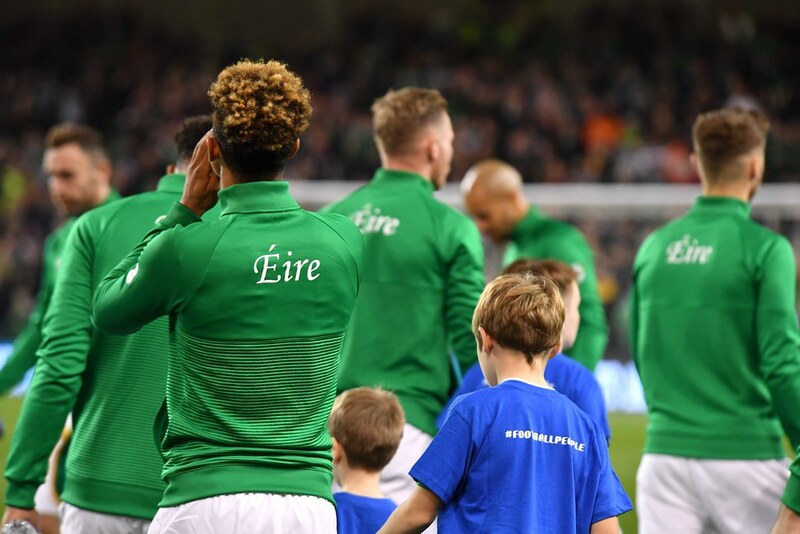 Sean Maguire replaces Callum Robinson for Republic of Ireland. 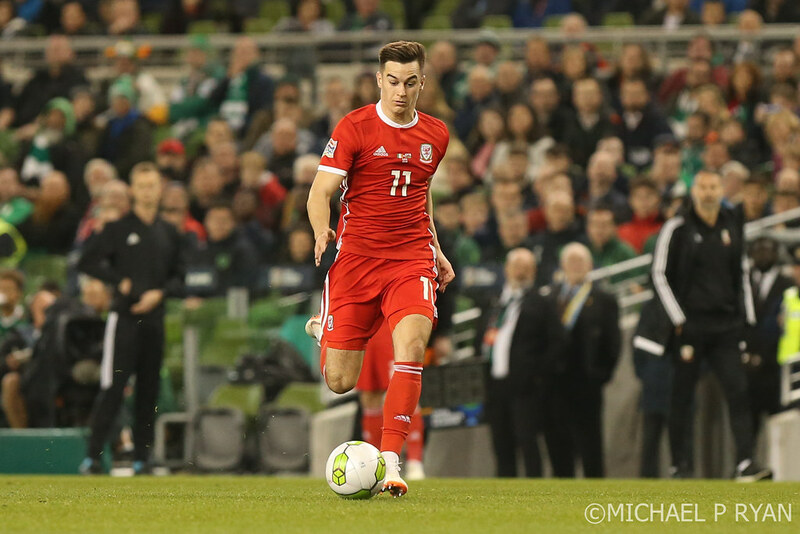 Almost another for the Welsh but Tom Lawrence's shot deflects just wide. Nervy times for the Boys in Green it must be said! 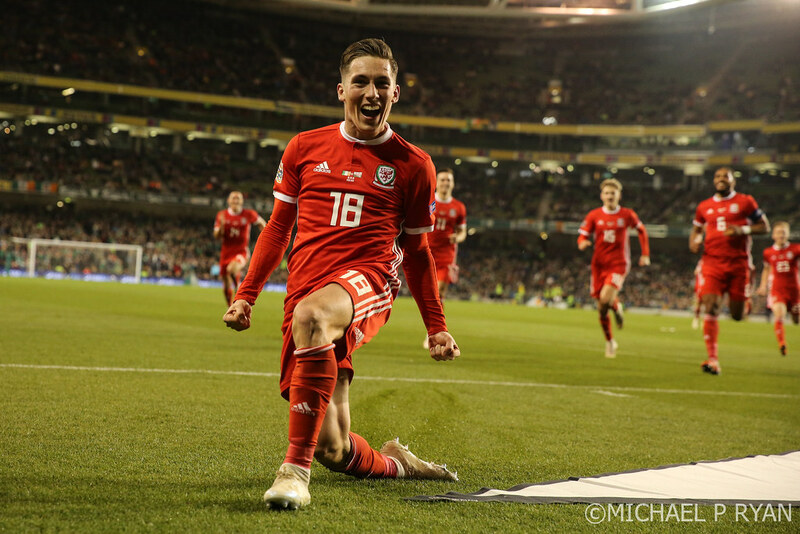 Harry Wilson scores for Wales. 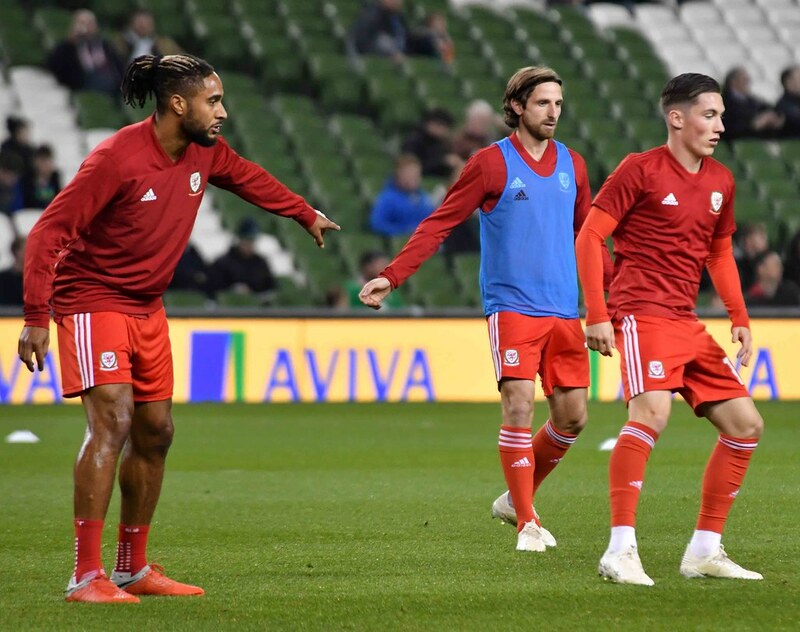 I said it was threatening and Harry Wilson pings it into the top corner. My lord what a hit! Randolph had absolutely no chance. 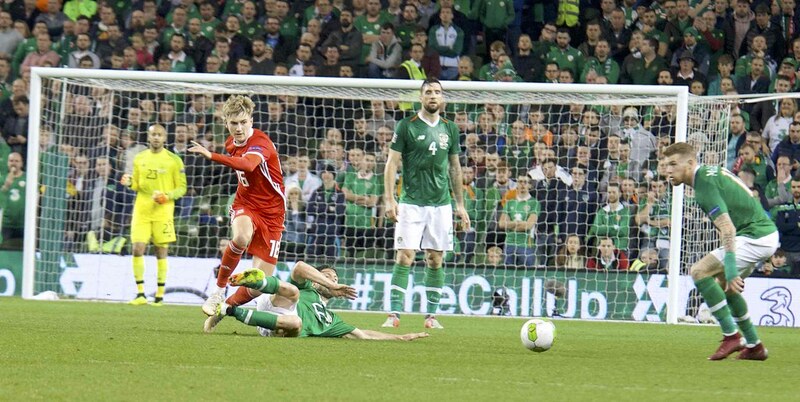 How will Ireland react to this hammer blow?? 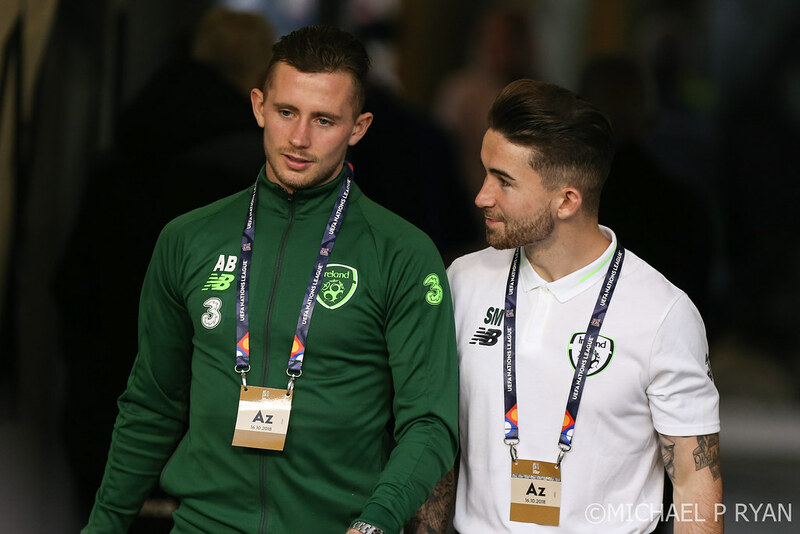 Shane Long replaces Aiden O'Brien for Republic of Ireland. 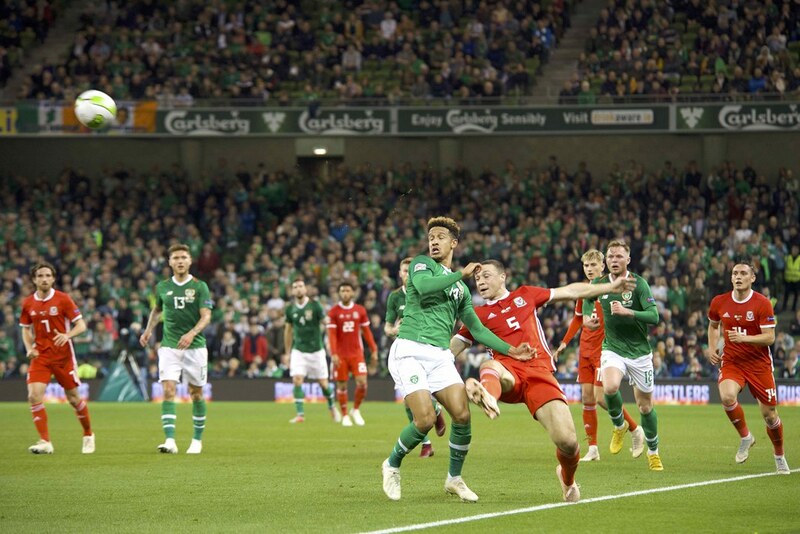 James Chester forced into making a mistake as Ireland break. 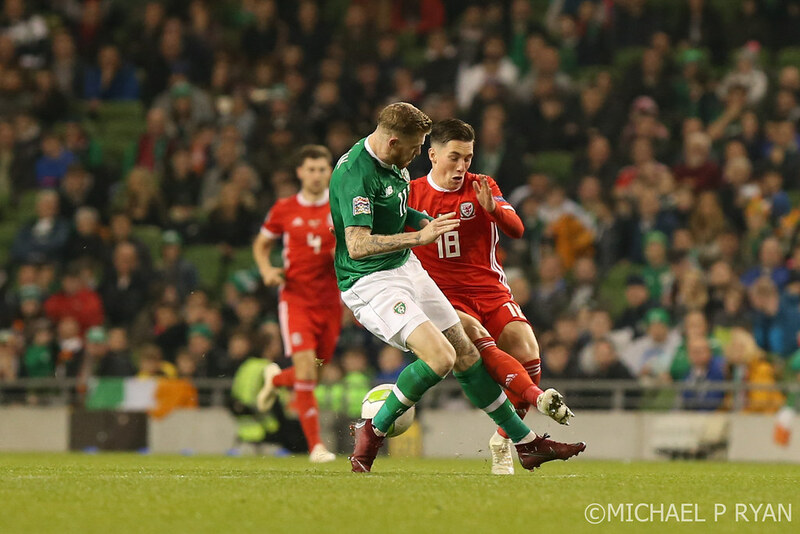 Robinson finds McClean who's ball in is dealt with handily enough by Wales 'keepr Hennessey. Will we see a goal here? 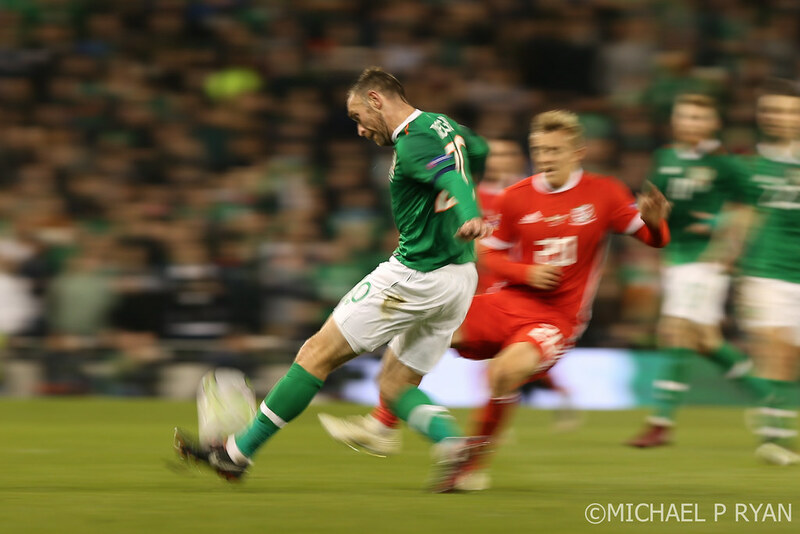 The second half between Republic of Ireland and Wales has started. 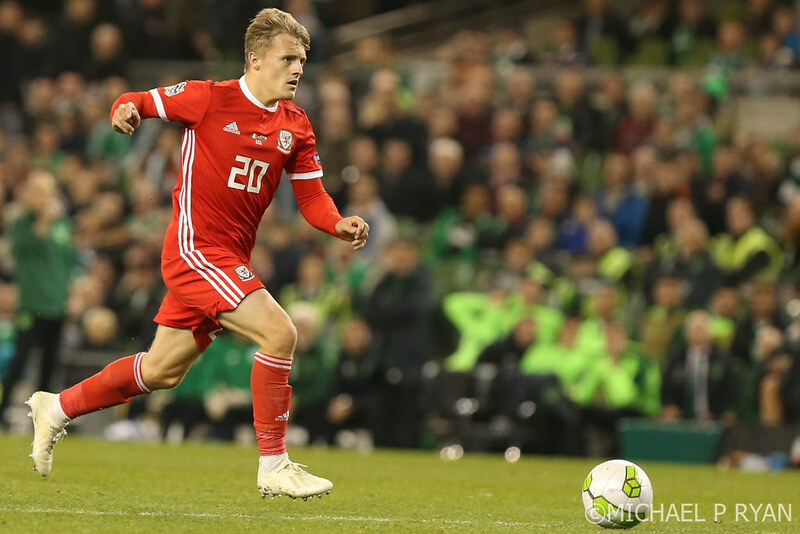 It is half-time between Republic of Ireland and Wales. 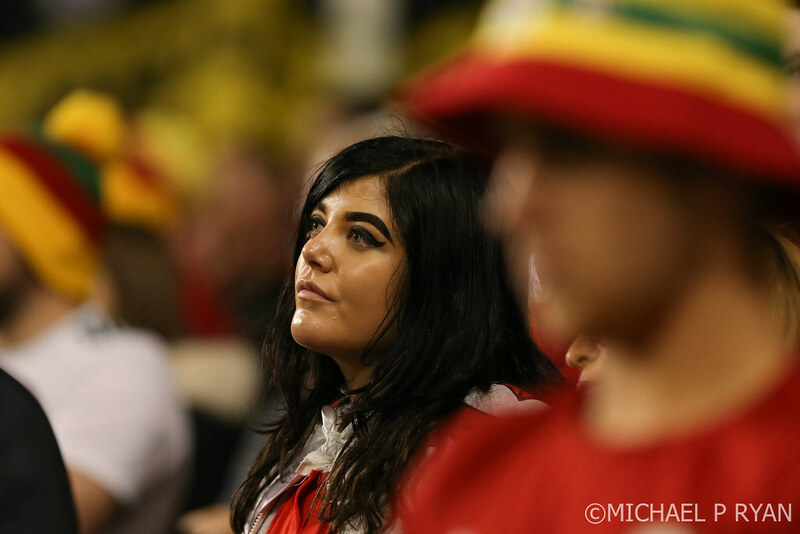 After the high-octane opening to the game, proceedings have dissapated a little. 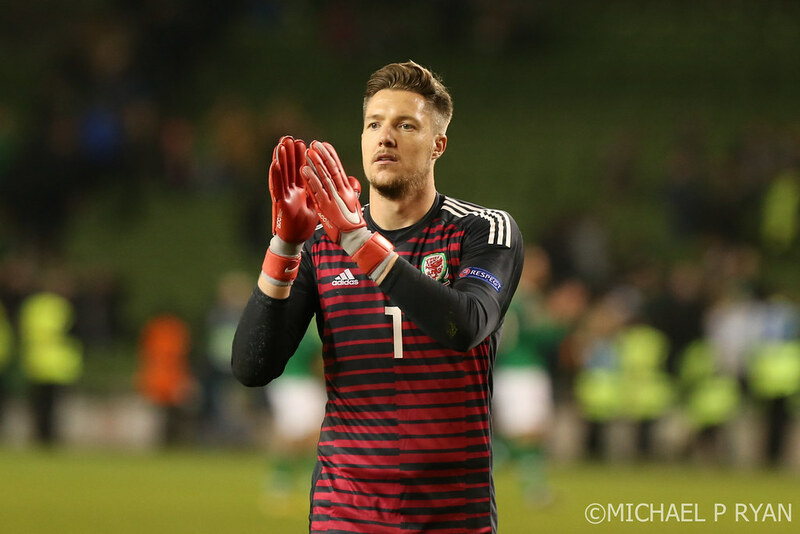 All to play for in the second half as Cyrus Christie had the game's best chance but Hennessey was equal to it. I'll be back in 15! 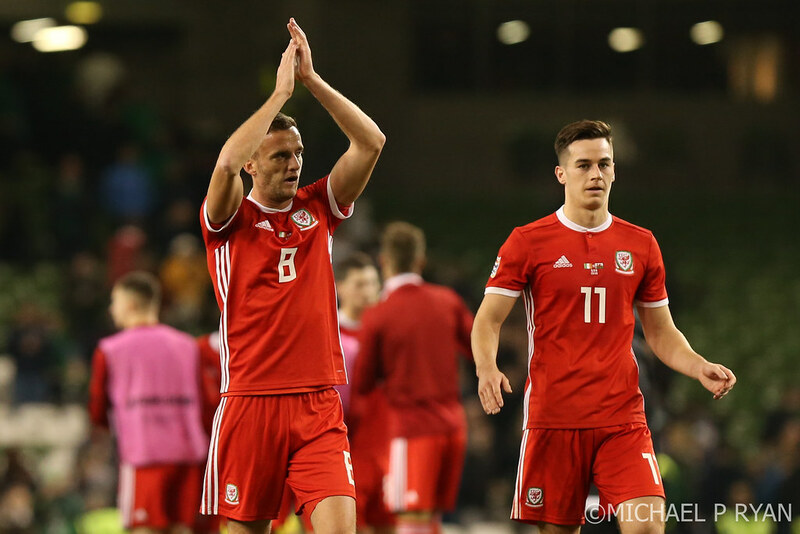 Shane Duffy arrows his fierce header straight into the hands of Hennessey in the Welsh goal after a superb ball in from Hendrick. Livening up a little bit this one is! 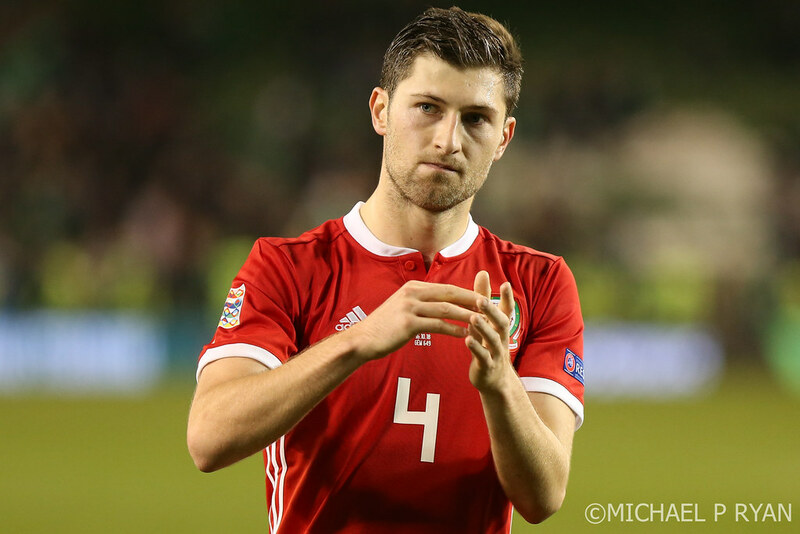 Ben Davies is booked for Wales. 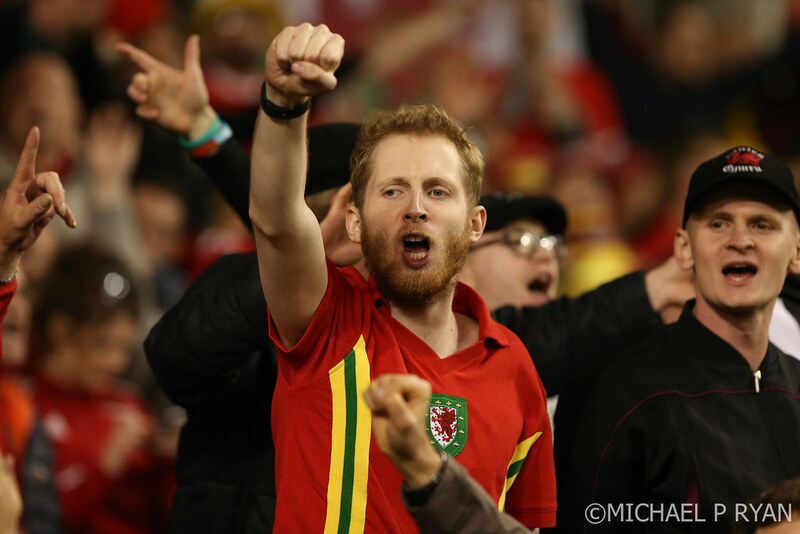 And now the Icelandic Thunderclap arrives as Wales attack. LIfts the volume for the meantime as the Welsh fans don't take too kindly to what they've just seen and heard! 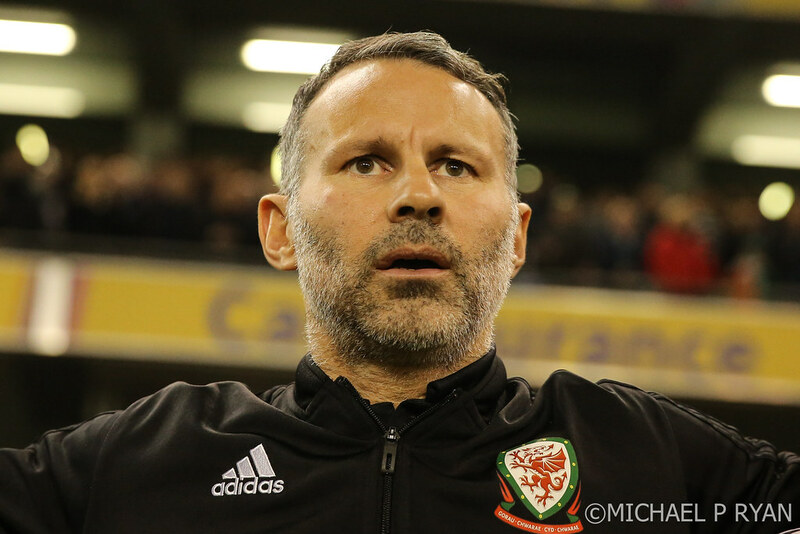 Ryan Giggs said in his press conference that his side must earn the right to play on their terms here. They're certainly in a battle so far! 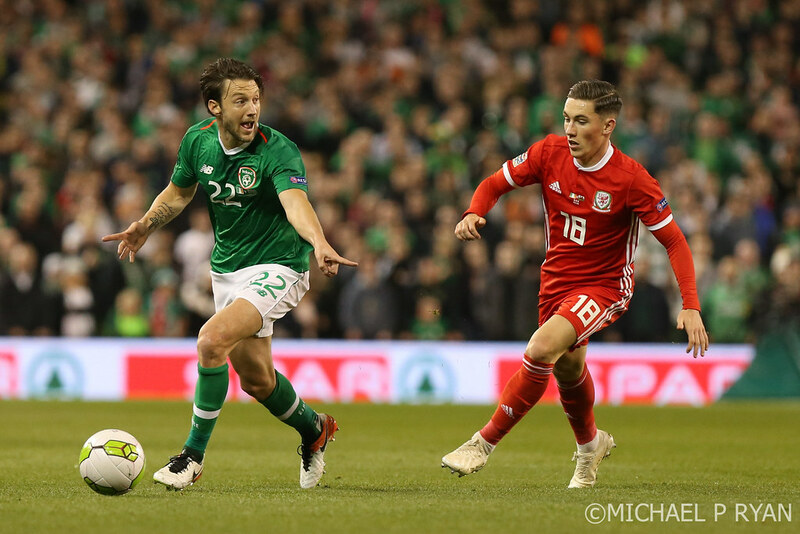 Arter look to thread the ball into the feet of Robinson but the ball is too long and Hennessey collects. Quiet enough last few minutes here in Dublin 4. 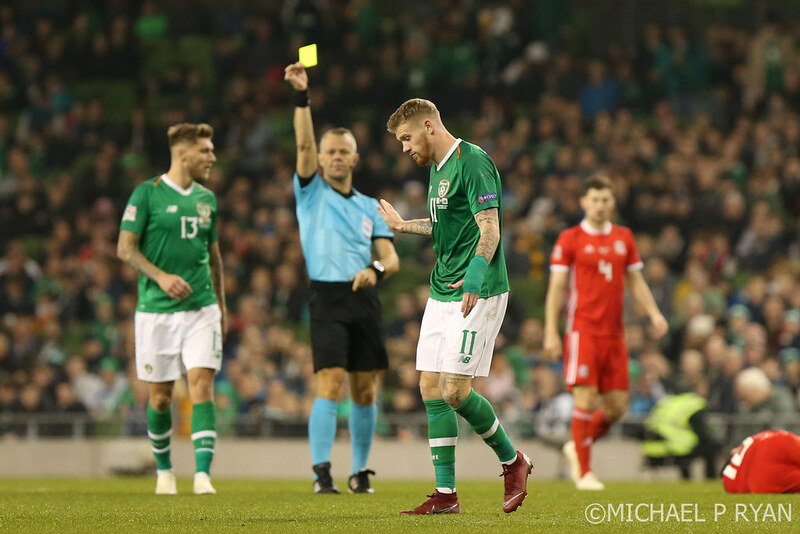 Kevin Long is booked for Republic of Ireland. 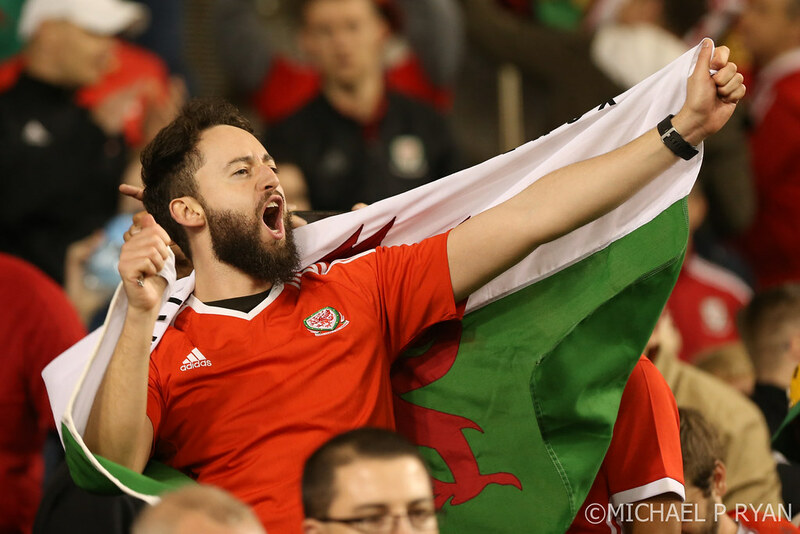 'Come on you Boys in Green' is now ringing through the ground as Wales hold possession. 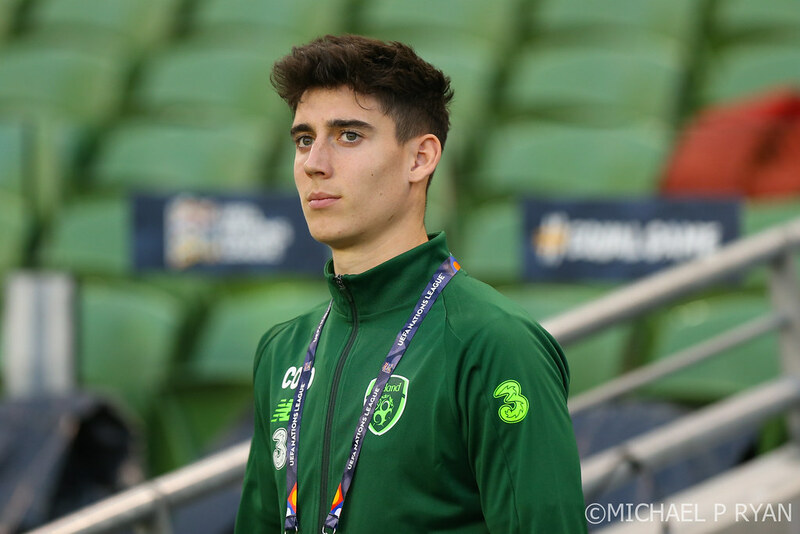 Ireland now have their first corner. HERE WE GO! 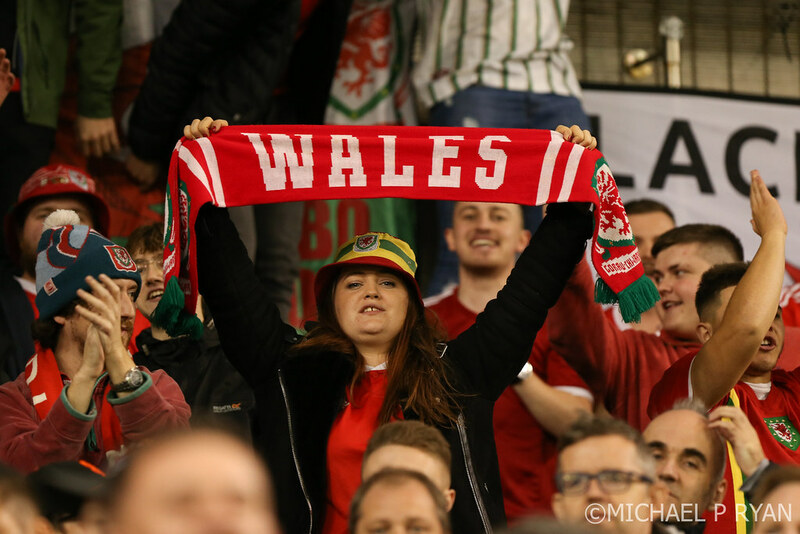 The game between Republic of Ireland and Wales has kicked off. 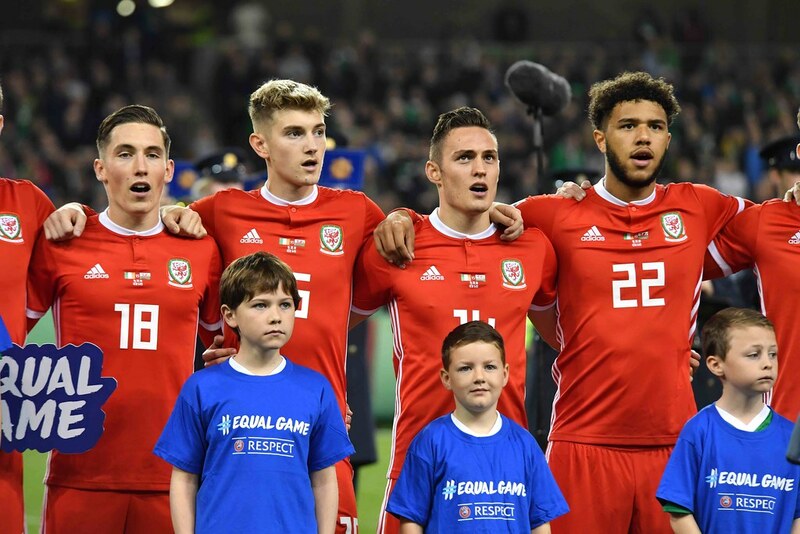 That was some rendition of the Welsh national anthem. Amhran na bhFiann also sung with serious gusto! Seconds away from the big-kick off! 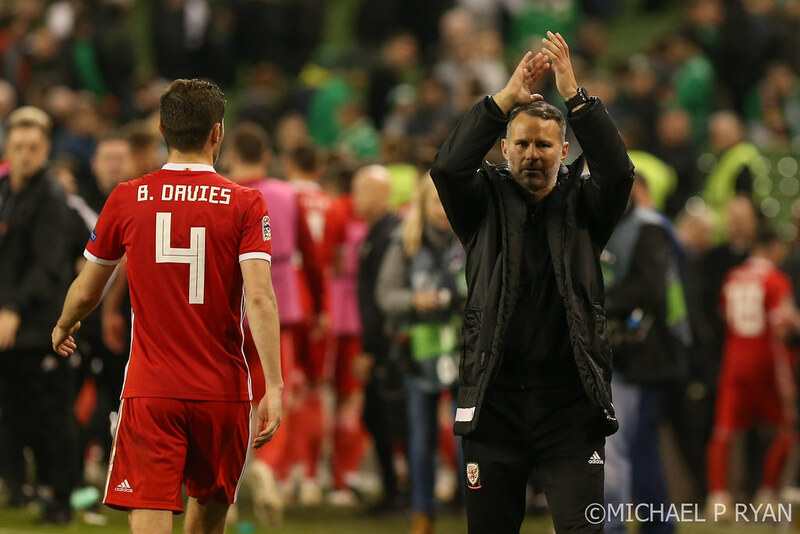 Speaking during his press conference yesterday evening, Wales boss Ryan Giggs called upon his side to get back to basics after Thursday night's humbling at home to Spain. 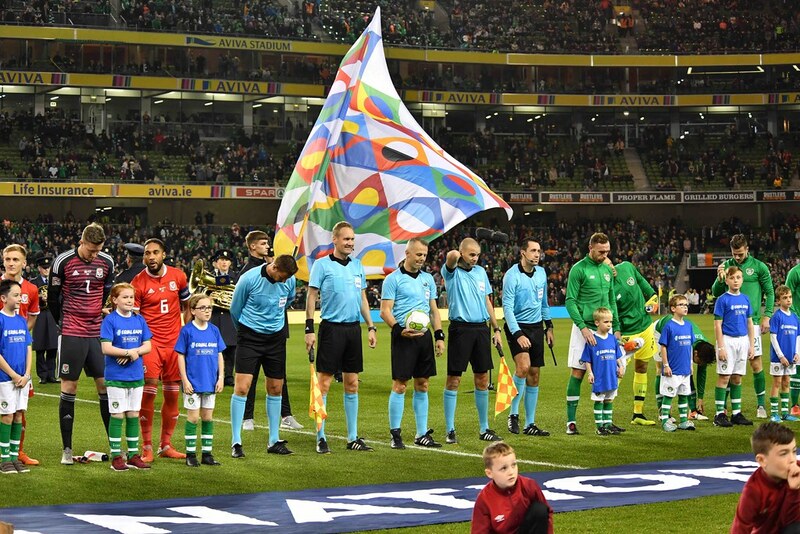 Can the Republic of Ireland earn a big win or will the points go back to Cardiff? We are going to find out soon enough! 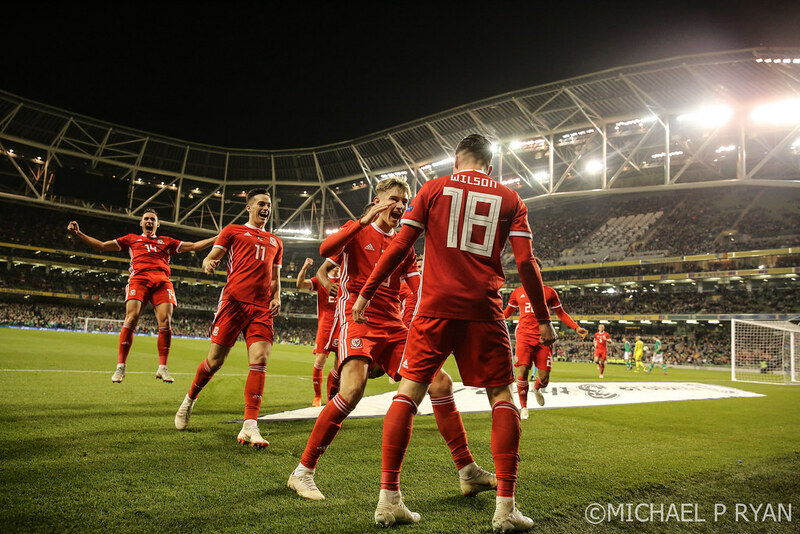 On their nine trips to Dublin for internationals thus far, Wales have left Dublin victorious on four occasions, the last of which came back in a 1992 friendly at the RDS. 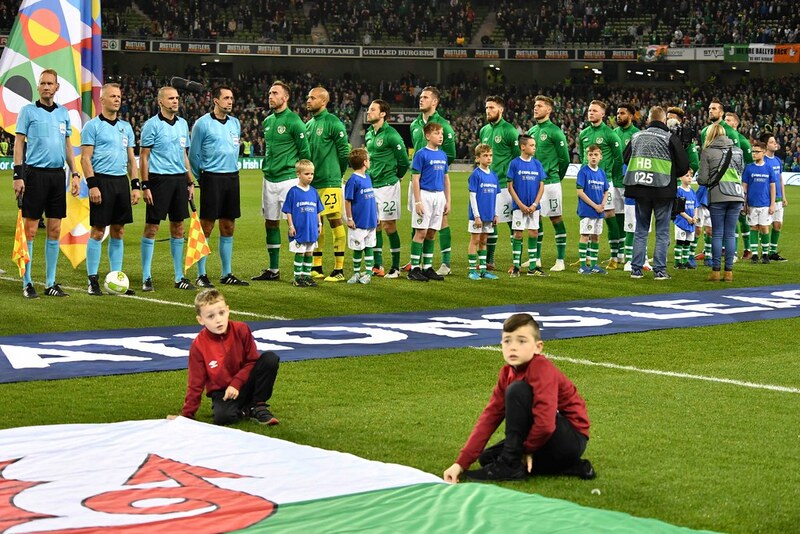 The Boys in Green last defeat to Wales was the first time that they have fell to an away defeat against the Dragons since 1979. 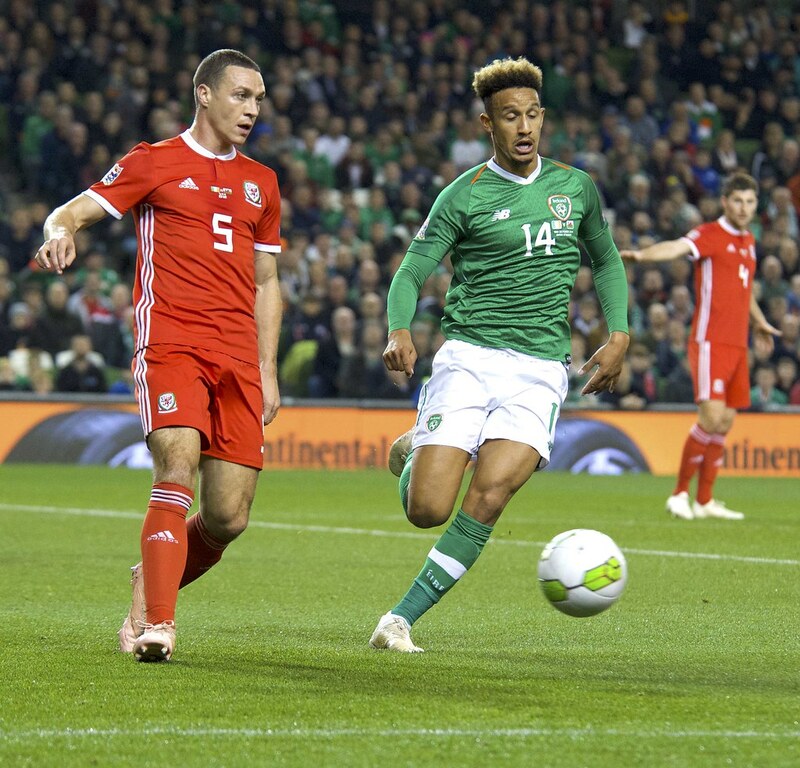 There has been an average of 2.18 goals per game scored in games involving both the Republic of Ireland and Wales since 1960. Notably, on just two occasions there has been five or more goals scored as contests in most recent years have taken a more defensively sound approach, barring last month’s clash in Cardiff. 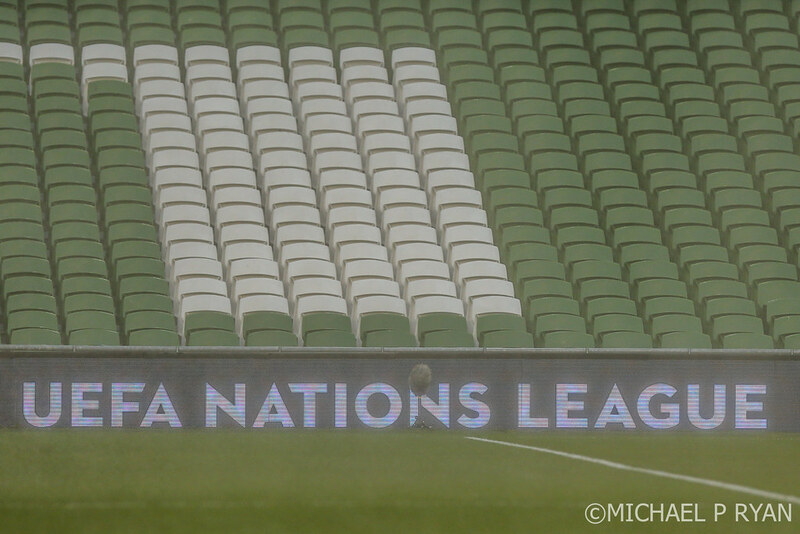 The atmosphere is starting to slowly build here in the Aviva Stadium. 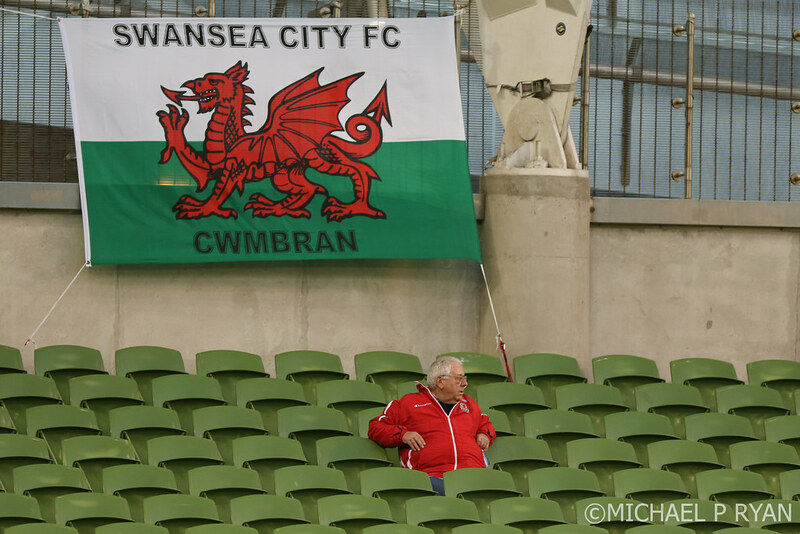 Looks like a strong Wales contingent has descended on Dublin and they are beginning to make their presence felt. 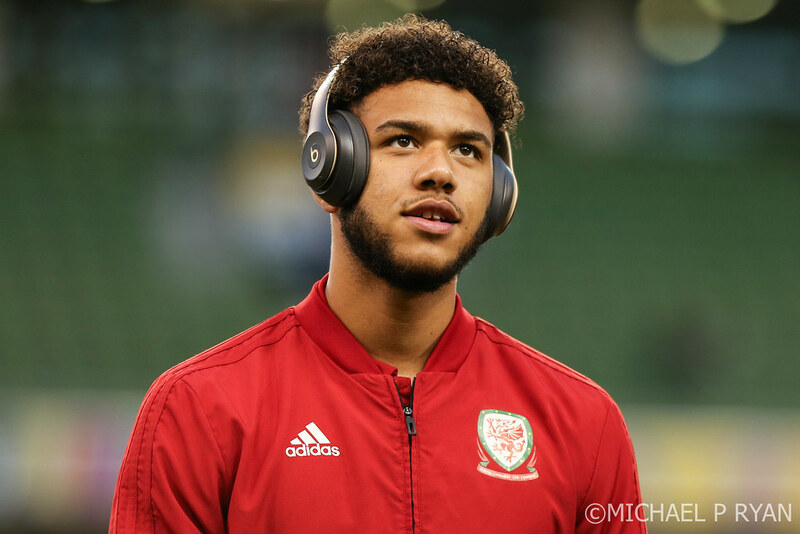 Two changes for the Republic of Ireland as Aiden O'Brien and Callum Robinson come in for Callum O'Dowda while Wales make five changes from their 4-1 friendly defeat at home to Spain at the Principality Stadium in Cardiff. 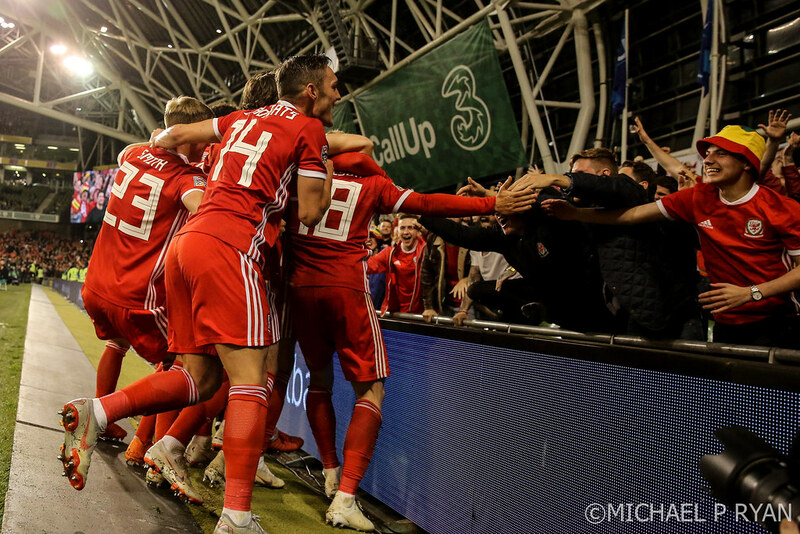 Good evening folks and welcome to Extratime.ie's live coverage of the UEFA Nations League cllash between the Republic of Ireland and Wales at the Aviva Stadium. I'm Andrew Dempsey and I will be taking you all through tonight's proceedings at the historic Dublin 4 venue.